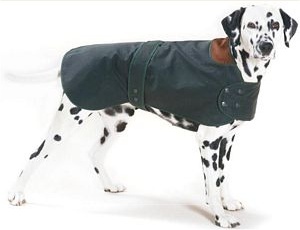 The Hunter Dog Coat is waterproof and windproof in a tough green waxed cotton, providing ultimate practicality. Measure your dog from collar to base of tail. Fantastic rug for my very big German Shepard Dog. I have been looking for ages. Very good quality for him to wear on cold nights. Fantastic quick service.